Like an extra point after a touchdown, football and tasty snacks go hand in hand. With this year’s big game taking place in Chick-fil-A’s home town of Atlanta, why not kick your party off right by combining two fan favorites: nachos and Chick-fil-A Nuggets! This delicious appetizer is sure to be the MVP of your snack table this year – and making them is easy. 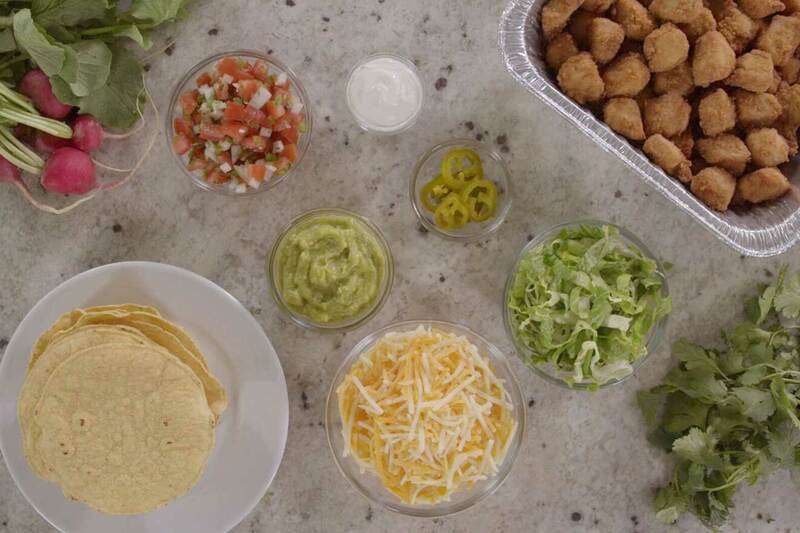 Just pick up a chilled nugget tray – available on the catering menu in small, medium, and large – from your local Chick-fil-A restaurant the day before the big game. Then follow the directions below. 3. Place cookie sheet(s) into oven and cook 15-20 minutes or until chicken holds an internal temperature of at least 165°F for at least 15 seconds. 1. Preheat oven to 425°F. 2. Line two baking sheets with parchment paper. 3. Open tostada shell package, and gently break each tostada shell in half. Arrange on baking sheets in a single layer. 4. Carefully slice cooked chicken nuggets into thirds. 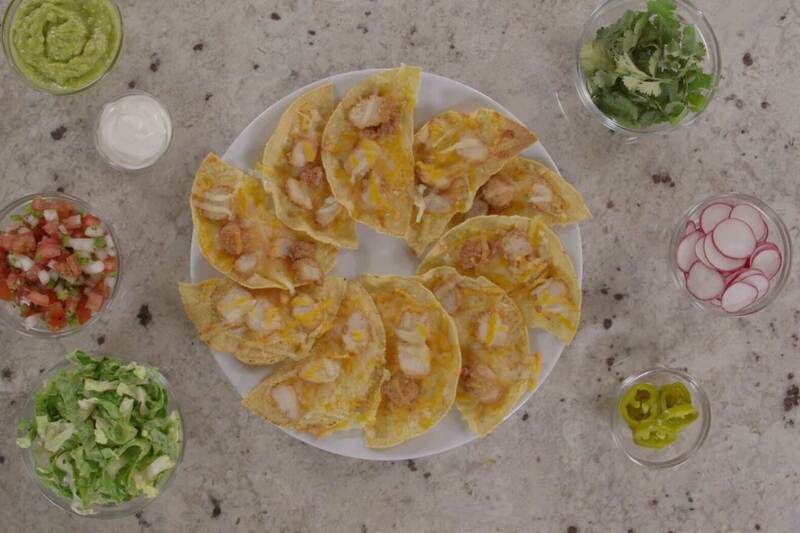 Then top tostada shells with cheese and nuggets. Place cookie sheets into oven and bake for 5 minutes. 5. Remove cookie sheets using hot pads. 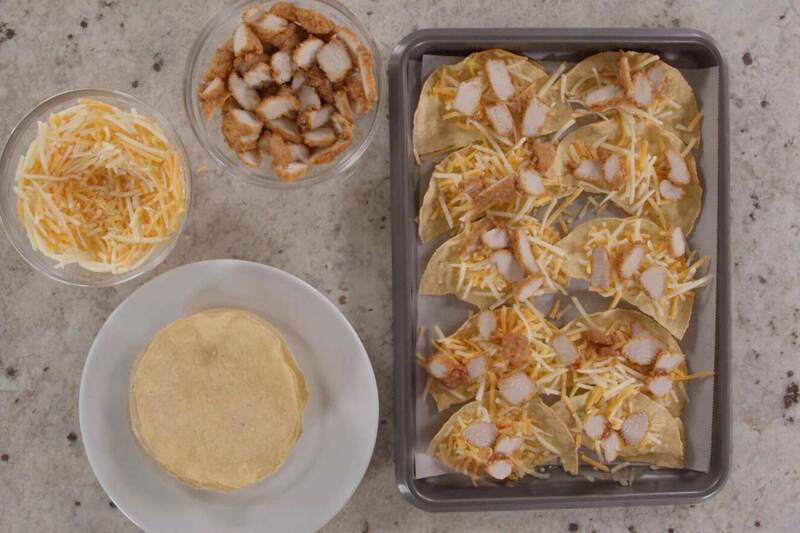 Carefully remove the tostadas from the hot baking sheet and arrange in a single layer on a serving platter. 6. Place romaine lettuce in the middle of the platter. Add pico de gallo, sour cream and guacamole on top of the lettuce. 7. If using, top with pickled jalapeños, radish and cilantro leaves. Chick-fil-A Nuggets you can make at home? Yes, please! Sunday: It’s a day to relax and unwind. And at Chick-fil-A, it’s a day for our restaurant team members to take off and spend time with their friends and family. But for you, it’s inevitably that day of the week when you crave Chick-fil-A the most.